Hello guys...I m new here and this is my first post. So here we will learn that how can we install the great tool Metasploit in android..
And yes i know, I'm weak in English. 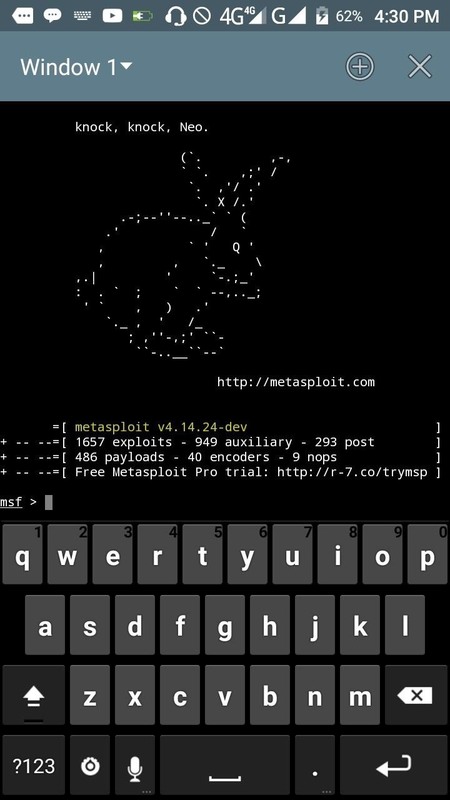 For Metasploit.. We must have Linux chrooted environment.. I.e ..Ubuntu , backtrack, Kali Linux ,etc...so just use Linux deploy or Complete Linux Installer App to install full Linux in your android ...Ubuntu is recommended by me (distribution yakkety). Complete Linux Installer is best and I m using. Step 2: Install the Popular Tool "Katoolin"
Now we have to install katoolin from github. 1.) Type command apt-get install git then hit enter. Now the last step is left.. It is my first part ..i will back with my second part in we will learn that how can we make payload from Metasploit in android.